We use observational and intervention studies to address the developmental origins of health and disease from molecule to population. Our primary outcome is cardiometabolic disease risk, but we are extending our outcomes to brain function (cognition and mental health). Follow-up of the Mumbai trial (‘SARAS KIDS’ study): In collaboration with colleagues at the Centre for the Study of Social Change, Mumbai, we are following up children (at age 6 years) born to mothers who took part in a randomised controlled trial of a pre-conceptional food-based micronutrient supplement made from green leafy vegetables, fruit and milk. We are studying body composition, cardiometabolic risk markers, cognitive function, and possible epigenetic mechanisms. We are also carrying out qualitative research to understand the supply chain of micronutrient-rich foods from farm to household. The Pune vitamin B12 intervention study: In collaboration with colleagues at KEM Hospital, Pune, we are building upon one of our longest-standing cohort studies, the Pune Maternal Nutrition Study, to carry out a randomised trial of pre-conceptional vitamin B12, with and without other micronutrients and protein. In the short term we will study vitamin B12 status, body composition and epigenetic markers in their newborns, but will continue follow-up to assess longer term effects. Uniquely, this study will supplement both young men and women, because of growing evidence that epigenetic effects of paternal nutrition can programme health in subsequent generations. Echocardiographic studies in the New Delhi and Vellore Birth Cohorts: The New Delhi and Vellore cohorts have exceptional data on growth from birth to adulthood and are now aged 42-45 years. 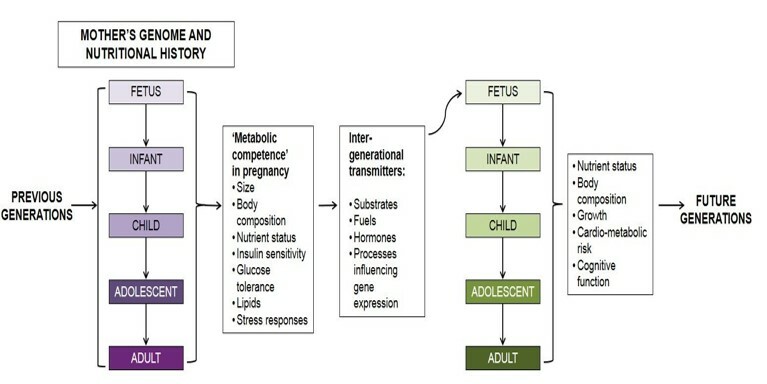 We studied them as young adults and found high levels of cardiometabolic risk markers linked to small size at birth, poor infant weight gain, and accelerated BMI gain in childhood. We are now studying echocardiographic measures of heart structure and function. 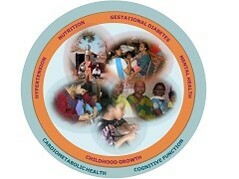 Extending the exposures – maternal pre-eclampsia: We are studying body composition, cardiometabolic risk markers and cognitive function among children aged 5-6 years in collaboration with colleagues at Bharati Hospital, Pune, whose mothers did and did not develop pre-eclampsia and study associations of maternal nutrients and biomarkers with maternal and child outcomes. 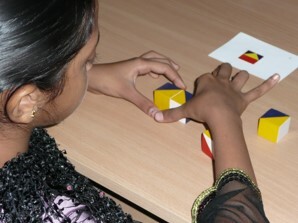 Extending the outcomes – Mental health: One of our first cohort studies in India was in an ’historic’ cohort of men and women born during 1934-1954 in the Holdsworth Memorial Hospital, Mysore, whose obstetric records containing birthweight, length and head circumference, had been preserved. This is the only birth cohort in India, and one of very few in the developing world, whose members are now elderly (aged 60-80 years). It offers a rare opportunity to study health and social outcomes in late life in relation to birth size, and to examine the potential influence of cardiometabolic risk factors, socio-economic factors, and lifestyle habits measured 20 years ago. In collaboration with Dr Murali Krishna, we are carrying out a detailed study of mental health, and repeating measures of cardiometabolic risk markers. COHORTS collaboration: The COHORTS collaboration is a consortium of five birth cohorts in Brazil, Guatemala, India, the Philippines and South Africa. Earlier work has shown differing associations of weight and height growth in early life with adult health and human capital outcomes. Future plans are to analyse mental health outcomes, and incident cardiometabolic disease in relation to early life growth.